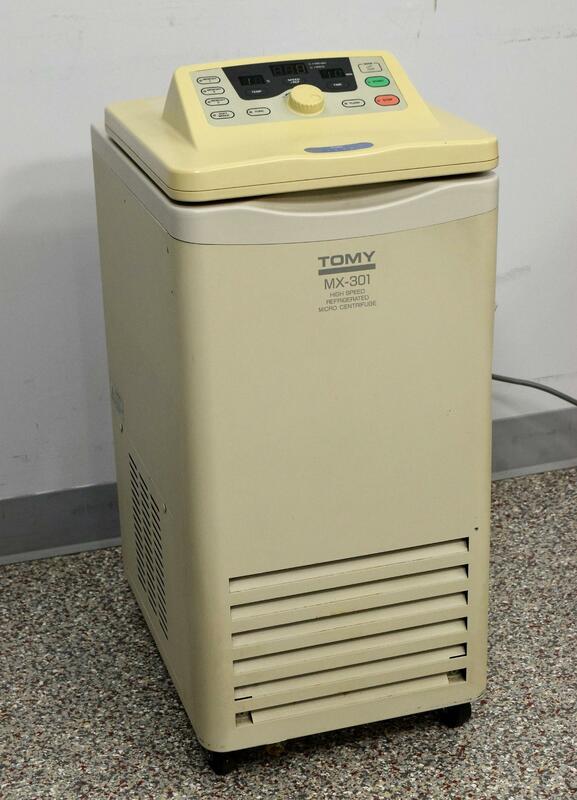 Tomy MX-301 Highspeed 16000 RPM Refrigerated Micro Rack In Rotor Centrifuge . New Life Scientific, Inc.
laboratories that need to utilize every available space. to 1 minute 35 seconds. all of these are detailed in the supplied User Manual. An assortment of these rotors are available from tomy.amuzainc.com. and bulky this is compact and easily rolls to where you may need it. Max capacity of conical tubes is 50mL x 4 with speeds of 16,000 rpm. plug are included with this centrifuge.